Global buyers and sellers of fine wine will know that reds make up the largest proportion of fine wine traded on the market, representing roughly 65% of the total value. Red wine is grown extensively throughout the world. Although warmer and sunny climates produce the boldest, richest varieties, some cooler regions produce remarkable wines that enjoy subtle complexities and often a more refreshing palette. Cabernet Sauvignon, Pinot Noir, Merlot are some of the most famous varieties, but red wine production is far more interesting than that, comprising of numerous different regional grape varietals, all with distinct characters. Whatever the variety, the pigment in red wine always comes from black grapes; adjustments to the wine-making processes, such as the period of time the grape juice is in contact with the grape skins, can lead to an astonishing range of different reds and can help the winemaker produce a more intensified flavour and colour— moving the wine from a pale ruby to a deep garnet through a process called ‘bleeding the tank’. 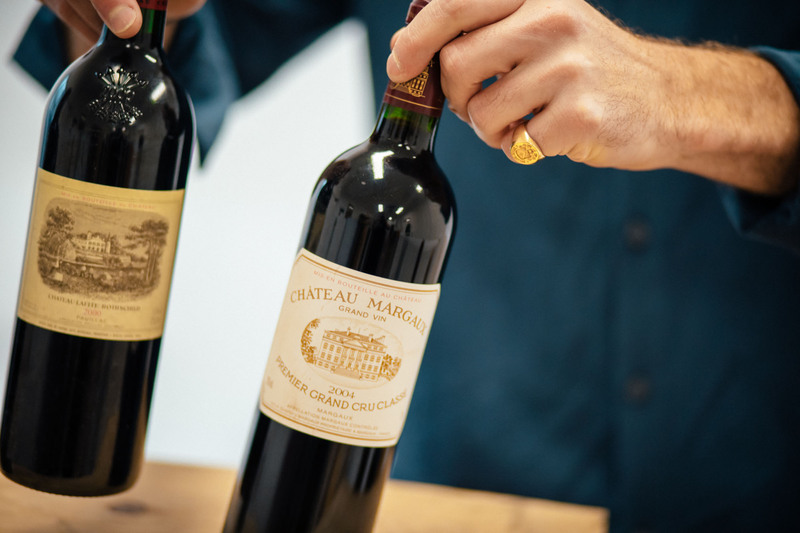 Here at The London Wine Cellar, we’re always happy to provide you with a red wine valuation, whether you want to sell a single bottle of Sassicaia or 50 cases of Bordeaux. We are particularly interested in wines from France, Italy, Spain, USA and Australia, but do feel free to get in touch regarding any other wines you think may have a value and would like to sell. We offer several stress-free ways to get your red wine valued, including filling out our simple online form, giving us a call, sending us a WhatsApp picture of your bottles or swinging by our East London drop in. Our small team of red wine experts are well placed to give you an accurate estimation of your wine’s current market value and quote you a competitive price. Once we have seen the condition of a bottle/case we have a policy of honouring our original quote (we’ll never downgrade the amount promised later on), and we’re committed to transferring funds to your bank account as soon as we have quality-checked your goods.